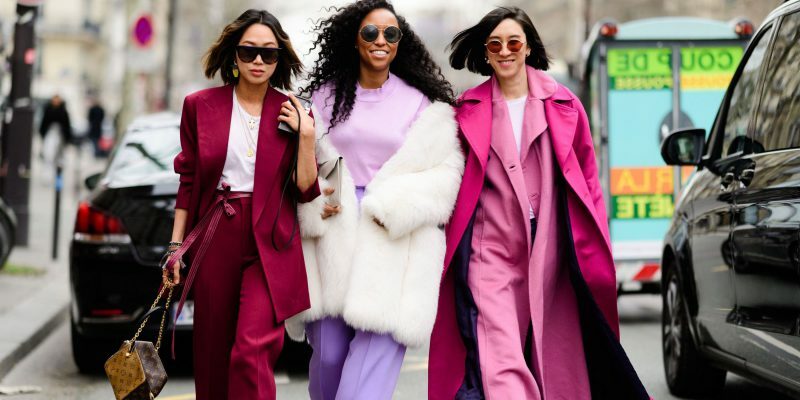 This purplish-pink shade can be found everywhere around, from eye-catching jumpsuits to oversized knits and statement trousers. 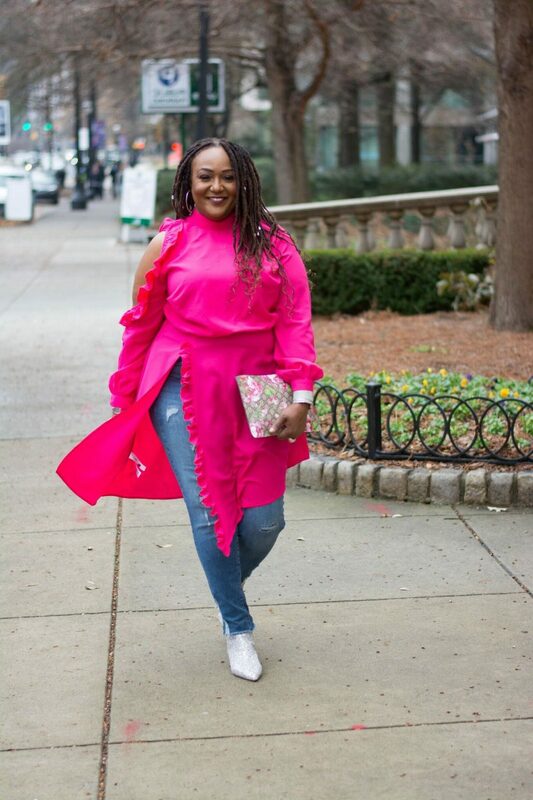 For instance, you can try on a magenta long blazer and wear it with a pink-white striped dress and pink heels, or make a vibrant appearance by teaming a bright yellow coat with a magenta sweater and hot red pants. Sure, many ladies are afraid to go straight bold, that’s why they start from little accessories and details colored in this trendy color. 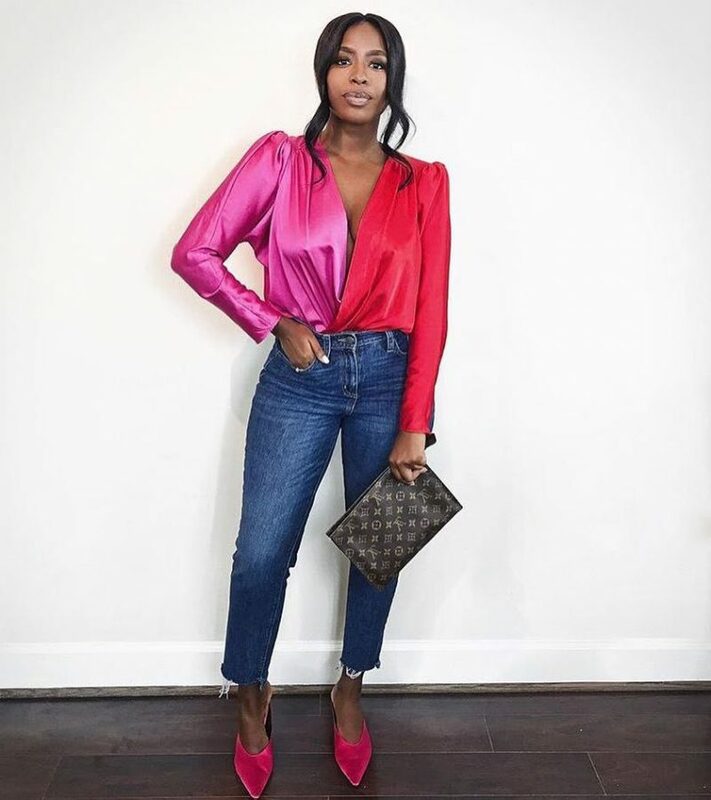 I personally try to be a risky woman, that’s why I buy myself a stylish midi magenta shirtdress and style it with classy heeled sandals and shoulder bag, or make a wow statement by teaming a fur magenta coat with a silver metallic jumpsuit and red boots. Everything is very individual, that’s why I recommend to check out these street style images and get some fresh inspiration before your next move. 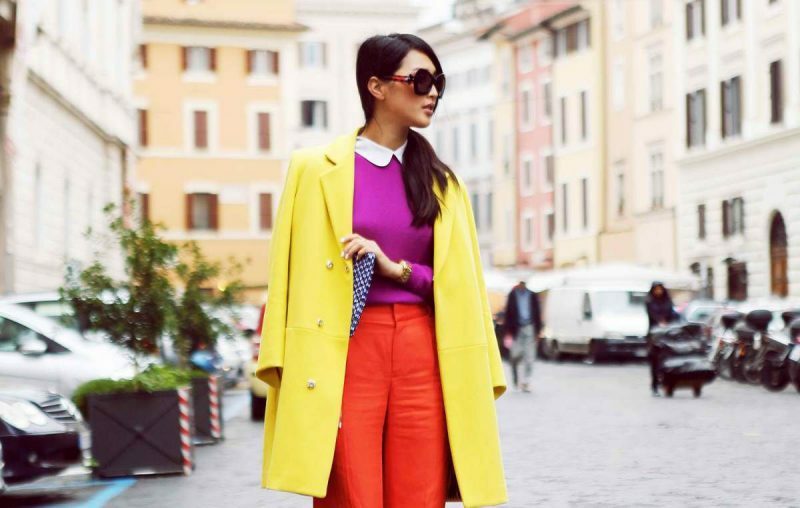 A classy coat looks awesome draped over shoulders. 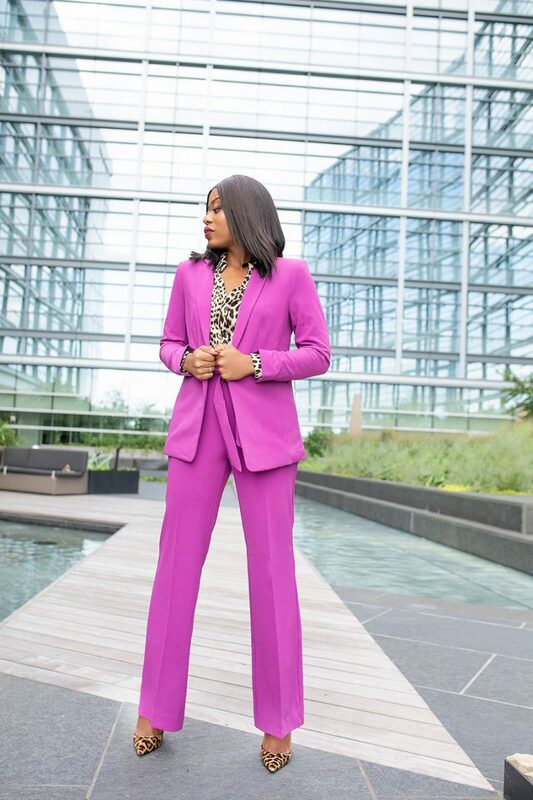 In love with this magenta suit! By the way, check out my post on ways how to wear robe coats this year. You gonna see stunning combos that can work in your everyday life!